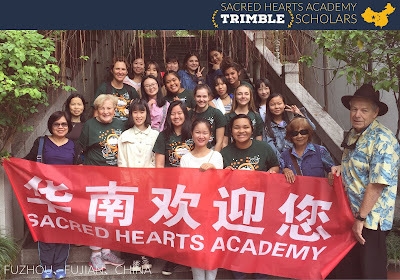 Sacred Hearts Academy - The Blog: Aloha From Fuzhou, Fujian, China! Aloha From Fuzhou, Fujian, China! A special message and update from Sacred Hearts Academy Head of School, Betty White, as she travels abroad with eight Academy "Trimble Scholars" guided by longtime Academy friends, Sonia & Gordon Trimble, and Noe Gunderson Oliver, '96, on a cultural exchange with students attending Hwa Nan Women's College in Fuzhou, Fujian, China. 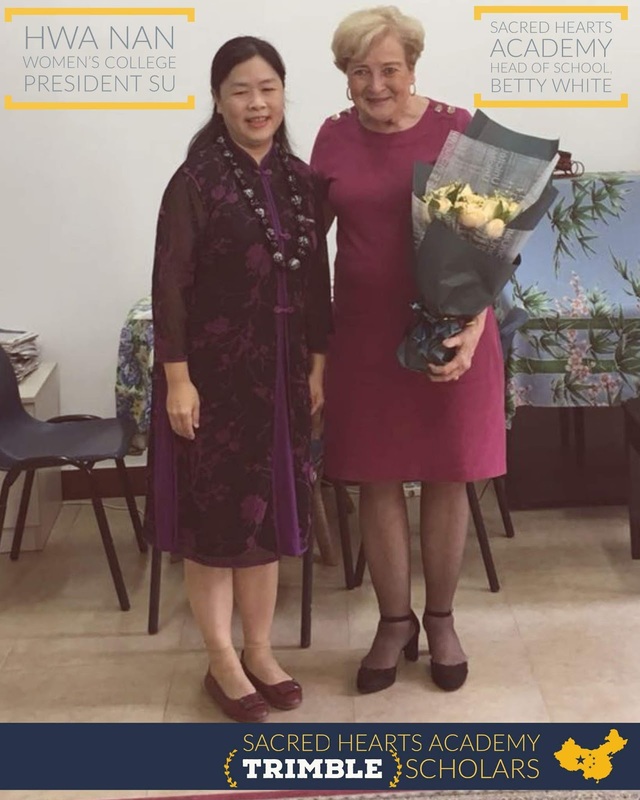 "To be here in Fuzhou, Fujian, China, living on Hwa Nan Women's college campus and surrounded by Chinese educators and students, is an incredible experience. Our hosts are so very cordial, kind and hospitable. Our students are like sponges—soaking up every opportunity to learn and enjoy the experience. 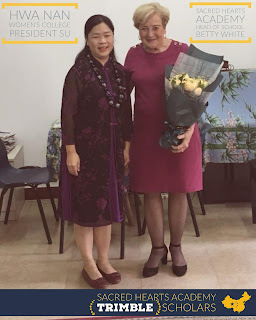 For every activity or excursion, our students have a Chinese sister with them. Yesterday, Eden and Kira were interviewed by a cameraman about their experience so far, and they related how safe the Chinese Sisters made them feel. Later that day we gathered on the athletic field for games led by our hosts. Incredible —the same games I recall playing as a child, thousands of miles from China. whoah this blog is magnificent i like studying your articles. Stay up the good paintings! You recognize, a lot of individuals are looking round for this information, you can aid them greatly. We are a group of volunteers and starting a new scheme in our community. Your site provided us with valuable information to work on. You have done an impressive job and our whole community will be grateful to you.